If you own a restaurant in Brisbane, having security cameras offers many benefits. For example, it can help prevent crime, theft and shrinkage, while protecting your staff and patrons. At Brisbane Alarm Monitoring Security Services, we have installed many IP video camera security systems for restaurants. These systems have varied a lot depending on each client’s needs. So to help you choose the right security camera system for your restaurant, we’ve outlined the main options below. Then we offer some advice as to where to place your cameras. Lastly we tell you why IP video camera security systems are the best kind for restaurants. They a wise investment to protect your restaurant and will often end up saving you money. Hidden cameras or visible cameras? The recent advances in technology mean that hidden cameras can be tiny. You can hide them practically anywhere: inside a wall, clock, air filter, briefcase, backpack, or even a smoke detector. Obviously, the main benefit of hidden cameras is that people don’t know they are being watched. This allows you, as a business owner, to observe the ‘natural’ behavior of your clients and staff. Sometimes people alter their behavior when they know they are being watched. In terms of disadvantages, hidden cameras have limited options and are often more expensive than visible cameras (due to their size). Visible IP cameras can zoom or pan across a room, and you the option for a high-resolution signal. You will also have more options in terms of cameras. The other benefit of visible cameras is that they tend to deter potential criminal activity because people know they are being watched. Wireless cameras or wired cameras? Wireless IP camera systems are the fastest to install. That’s because the cameras, antennas and radios don’t require cabling, and can be easily hooked up to wireless receivers. Another advantage of wireless cameras is that they can be installed in places where wired cameras can’t. They can also be easily moved to a different location in your restaurant, as there are no wires. The disadvantage of wireless IP cameras is that the videos can be disturbed or influenced by heat, moving objects, well-insulated buildings, or even telephone or Wi-Fi frequencies. Also, video/audio transmission is limited within the prescribed transmission range. 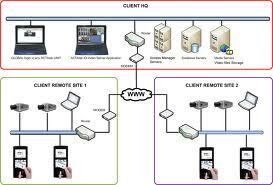 And if the IP network is not secured the video feed can be hacked, allowing potential criminals to access you video security system. Wireless camera systems are also often more expensive than wired systems, as they require a receiver and transmitter to send and receive the security video. However, the extra cost of the wireless cameras is often offset by the reduced cost of installation. Wired IP camera systems are more stable than wireless cameras and don’t experience the same interference problems. However, the cost to install wired cameras is higher due to the extra labour and wiring. As you need to run a video cable to each camera to get a video feed, you may have to run it through the walls and ceiling or have it exposed on a wall. IP Video Cameras or CCTV? Network IP cameras operate over a local area network (wireless internet) and include a mini computer with a camera lens. IP Cameras have their own IP address, and you can control them remotely. The quality of the video is usually much better than CCTV, and your security videos can be stored and accessed more easily. IP cameras cost more than CCTV cameras, but are usually cheaper to install. CCTV is the camera security system that has been used by banks, nightclubs, and traffic monitoring companies for many years. A CCTV system records in analogue video, which is then sent to a monitor for viewing and is digitised for storage. The main issues with CCTV cameras is interlacing, lower video quality, and large file sizes. They are also limited in terms of access and usually can’t be viewed remotely on your mobile phone (like IP cameras can). Indoor or outdoor system? Or both? Depending on your restaurant, you may need a video camera security system that can be used inside and outside your building. If you have outdoor seating, or need to monitor a loading dock or back door, you will need a camera that is weatherproof. Unless it’s specifically sealed, a regular video camera won’t survive being exposed to the elements. 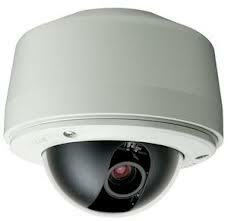 You can choose from a variety of outdoor cameras: dome, bullet, and PTZ. If sold as ‘outdoor’, the camera will be enclosed in a waterproof case. Or you could place an ‘indoor’ surveillance camera into a sealed enclosure that allows you to use it outside. You can also buy video cameras that will withstand direct hits from heavy objects. The latest digital recording technology uses either a stand-alone DVD recorder or a PC-driven DVD to record surveillance video to a DVD or hard drive. A stand-alone DVD recorder is a simplified version of a PC-driven recorder. They have limited functions beyond recording videos, and you’ll usually have much less storage space compared to a PC. You can extend the storage by incorporating a DVD burner. Otherwise you can use a USB or external hard drive to copy and store the videos. A PC-based DVD recorder gives you much more flexibility for storing your security videos because of the hard drive. You can also add multiple hard drives, increase the memory, and add additional DVR cards for more cameras as you grow your business or open new restaurants. The main advantages of digital recording over videotapes are the storage capacity and playback capability. When reviewing the recordings you can quickly jump ahead to any point in the recording. You can also be notified when an alarm or motion sensor is triggered, or a door is opened, usually via email or text message. Some people still use a VCR with VHS tapes to record surveillance video; however, this is considered obsolete. You can use a standard VCR or a high-density VCR that allows you to record several days’ worth of video. Some have motion detectors and won’t record unless movement is detected in the area. The main disadvantages of videotaping arise when playback is required. For example, when you want to know what time an event occurred you will have to review all the tape. Getting the placement right for IP video camera security systems in your restaurant can mean the difference between capturing important events and missing them completely. You can also reduce the number of cameras needed in your system by placing them carefully. Below are the 4 most important areas to cover with security cameras. Monitoring entrances and exits can help you reduce ‘shrinkage’ and theft from patrons and staff. Also, by monitoring the entrance to your restaurant you can quickly see if there is a line of people waiting outside. By placing an IP video camera above the cash register/s that is clearly visible to patrons, you can prevent robberies. These events are traumatic for your staff and costly to your bottom line. A camera above your cash register will also deter staff from pinching money from the till. By placing an IP security camera in your restaurant’s kitchen, you can make sure it is clean and that staff are using proper hygiene. You can also monitor productivity and prevent shrinkage. A kitchen camera can also be an important workplace health and safety tool. If someone is injured or falls over you will have a record of the event. Kitchens can also be highly stressed environments, so it helps to be able to see when staff are run off their feet with orders. how quickly or slowly the tables are being turned over (also, if you have KPIs around that metric, video cameras will help). Why install IP video camera security systems for restaurants? Just in case you needed any more convincing, here are some great reasons why you should install an IP video camera security system in your restaurant. Protecting your restaurant’s clientele should always be a top priority. IP video cameras help keep your guests safe, and protect their belongings from theft and vandalism. 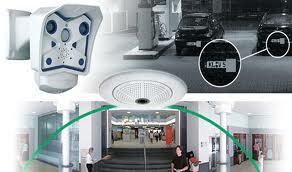 This means placing security IP cameras in dining areas, common areas, entranceways, as well the carpark. IP cameras help protect your staff from intrusion and theft. By placing IP surveillance cameras in your restaurant, you send a clear message to your guests and employees: you’re concerned about their safety and wellbeing, and you’ve invested in limiting their exposure to crime. how your staff interact with patrons. 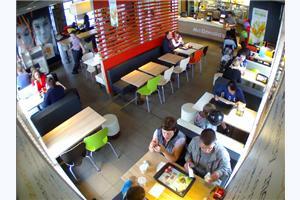 Also, simply having cameras in place tends to improve productivity, as staff know you can see what they are doing. Perhaps the most important thing for business owners is that IP video camera security systems can save you money. And this allows you to spend money on other areas of your business. 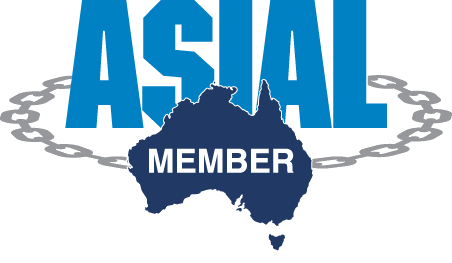 For a free consultation to see how an IP video camera security system could benefit your restaurant, contact us at Brisbane Alarm Monitoring Security Services. 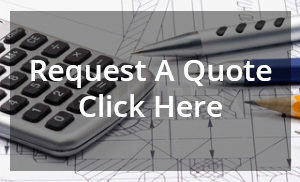 We can design a security system to fit your specific needs at a cost you can afford. 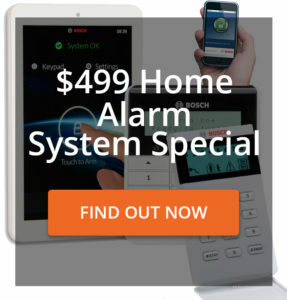 Brisbane Alarm Monitoring Security Services provides CCTV Cameras, IP camera installation and monitoring as well as a wide range of home alarms and business security solutions in Brisbane and throughout Queensland.